Troupe Coffee is about people who love to create a great coffee experience. We believe that you can make great coffee. Behind you stand the hard working farmers, a host of experts who help select and move the green coffee, careful roasting and attention to craft and freshness. Troupe buys high quality coffee ethically to make sure the farmer is successful and receiving a good price for their work. We aim to make sure everyone up to the time you brew a cup to energize yourself for your day is better because of the coffee industry. 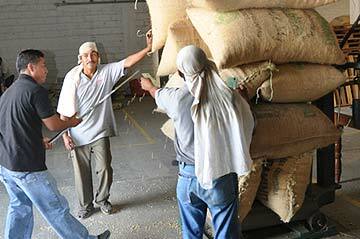 Coffee affects the lives of more than 100 million producers and coffee workers in origin and countless more who work in importing, roasting, delivering and brewing coffee for the public. 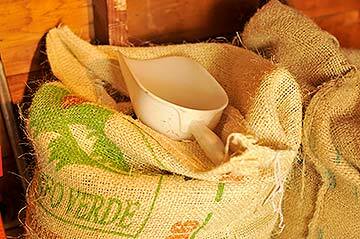 Coffee is one of the most connected, grass roots products in the world. It is the economic backbone of many of the communities it is grown in. Farmers invest their lives, sweat, finances and their economic future in growing a shrub that takes 3 years to produce a cherry which takes the better part of a year to grow and ripen. The cherry is either dried in its pulp and skin or squeezed to extract the bean which is then dried to perfectionThese steps require luck, skill and a nurturing commitment to develop and protect the character of the finest of these beans as they begin their journey to you. Each of us requires simple and user friendly tools to make this product shine. The farmer needs good soil and quality nourishment for his trees along with the right cultivars of coffee and a healthy dose of luck and the right amounts of sun and rain at the right parts of the growing cycle. Simple. Enjoy our coffee. All you need are a few simple tools, simple clear brewing instructions and great beans.